Colombo, Sri Lanka is a city full of treasures to discover: sitting directly on the Arabian Sea the city has an oceanside feel. In the evenings, kids fly kites against the sun setting into the sea at Galle Face Green, as onlookers happily munch fried snacks. Colombo is an architectural treasure trove, too – with colonial ruins from the Portuguese, Dutch and British eras, alongside narrow market lanes and plentiful Buddhist temples. Unfortunately, my time here was all too short – 24 hours in all – so here I’ll try and cover how to get the best of Colombo in one day. 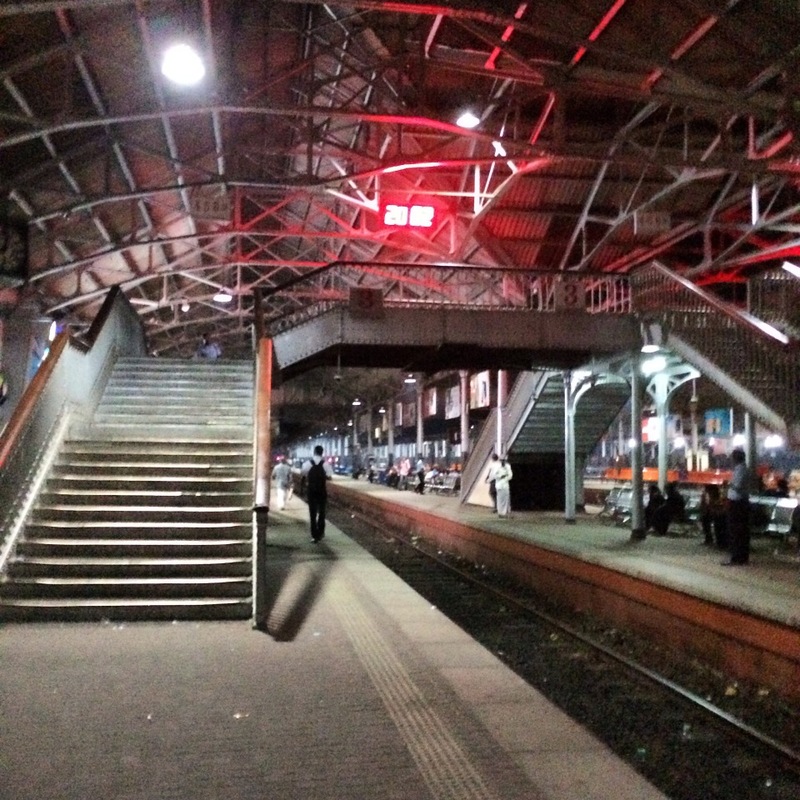 On my arrival in the Northern Indian Ocean to the ancient city of Colombo, a weird thing happened. Although I had missed almost two nights sleep getting there, somehow the jet lag worked itself out and I was able to tour the city in the afternoon on the first day of arrival. 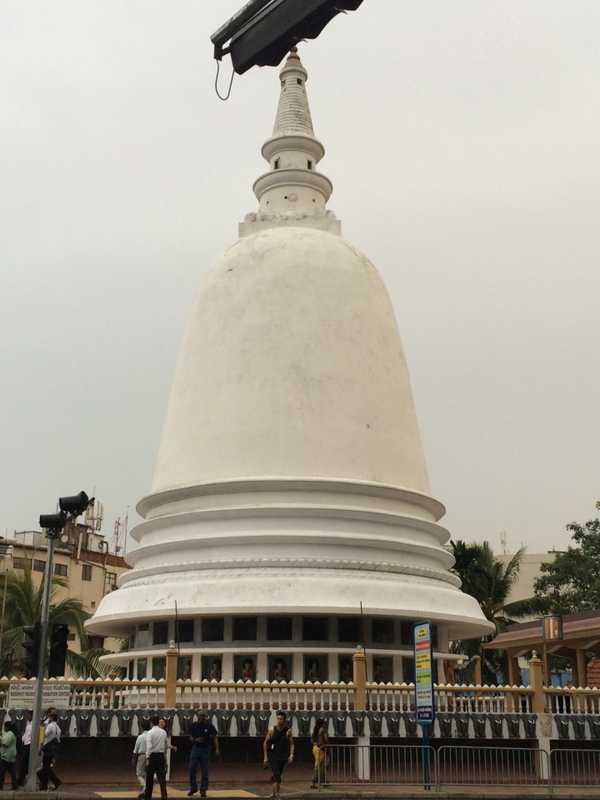 For me, this is quite unusual, but I am glad I was able to join in the tour so that I can tell you about a few of the best places to visit in Colombo in one day. The tour started with the guide telling stories from the past about the rule of the Portuguese, the Dutch and then finally the British colonial times here in Sri Lanka. It was once known as the ancient city of Ceylon until the name changed in 1972. The location of Sri Lanka made it the perfect stopover from the East to the West and was well known for its cinnamon trade, which is indigenous to the area. With their geographical location and deep harbors, it was a strategic spot in the time of the ancient Silk Road. I can just imagine these very streets filled with the men from times past on their way to the western world, which were central to the cultural interaction of the two worlds. Snake charmers, cinnamon sellers, merchants, monks, and dodgy bars probably existed back then too, linking China and India to Europe. Family Connections – Say What? A side note: When I told my Mother I was going to Sri Lanka, she says “You know that Tex (my grandmother’s husband) used to live there?” I said, “No, I don’t think I knew that.” “O, yes,” she tells me when my grandmother lived in Italy, her husband Tex was working in Sri Lanka and would go back and forth. He eventually retired and lived in Sri Lanka until his death. 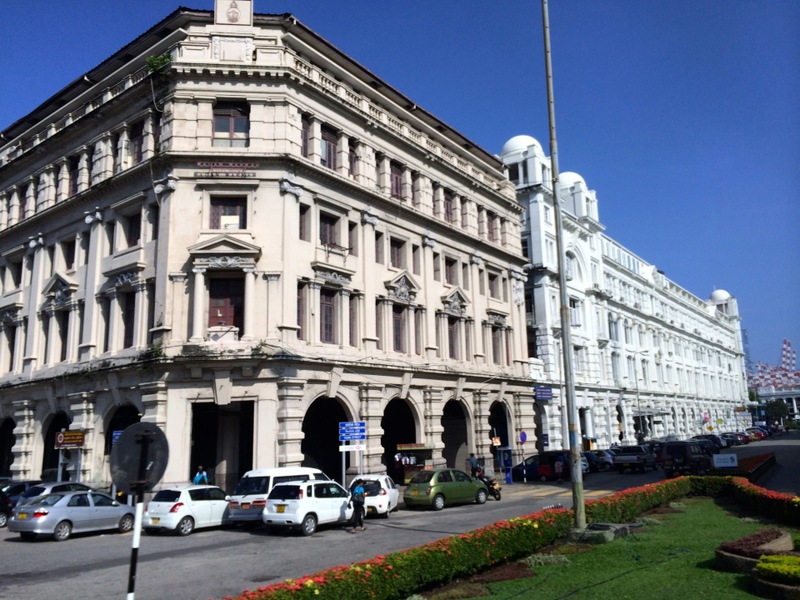 I had been invited for a tour that they described as the “Old Colombo Walkabout Tour”. The guide Mark Forbes, who considers himself a Dutch Burghers (descendants of Dutch colonists in Sri Lanka, which is most of the mixed race) decided to mix it up a bit and add in a few “dodgy bars” in the mix. One who travels never passes up a dodgy bar, so I made my way to the front of the pack to make sure I could take some decent photos before the libations began, as I was curious as to what his definition of dodgy was and quick to jump on the bandwagon to see the dark recesses of Colombo. Actually, I later found out that there is actually a Dodgy Bar Tour that our guide leads, so you, too, can re-create this experience. For those in need of a guide for this area of the world (I would say that is 95% of us, then this is the perfect way to be introduced to a destination). There is no hop on/hop off bus here! And just so you know, this place is totally outside of my comfort zone, (like my trip to Montanita Equador). So for me, having a guide was a necessity. 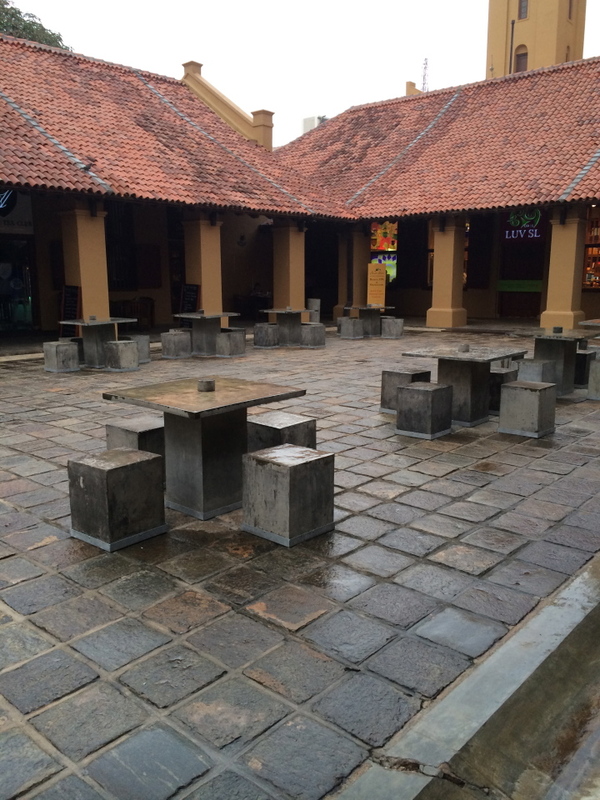 To orient us to the city of Colombo and the financial district Fort, the guide started at the old Dutch Hospital courtyard, a 17th-century building of thick walls and red-tiled roofs, converted after the war into the city’s trendiest center square for cafes, shops, and candy stores. 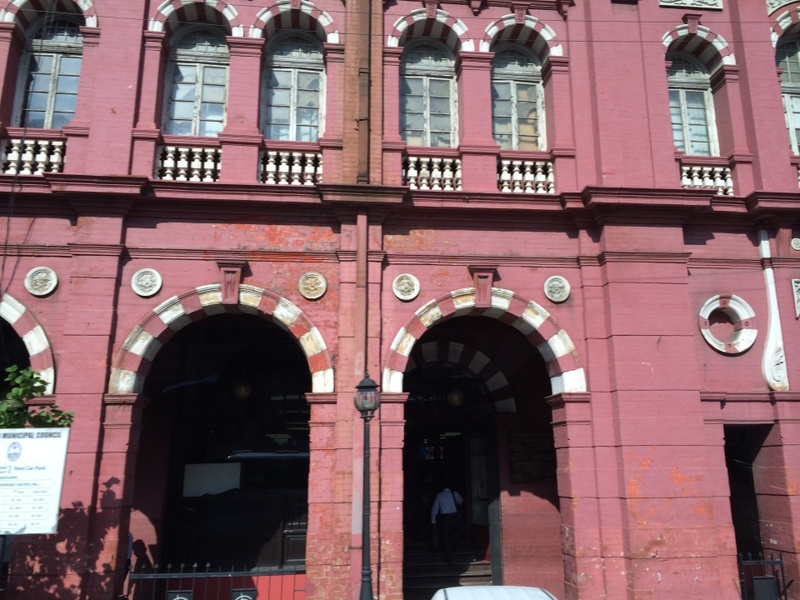 This was literally the origins of the city and is one of the oldest buildings in Colombo. 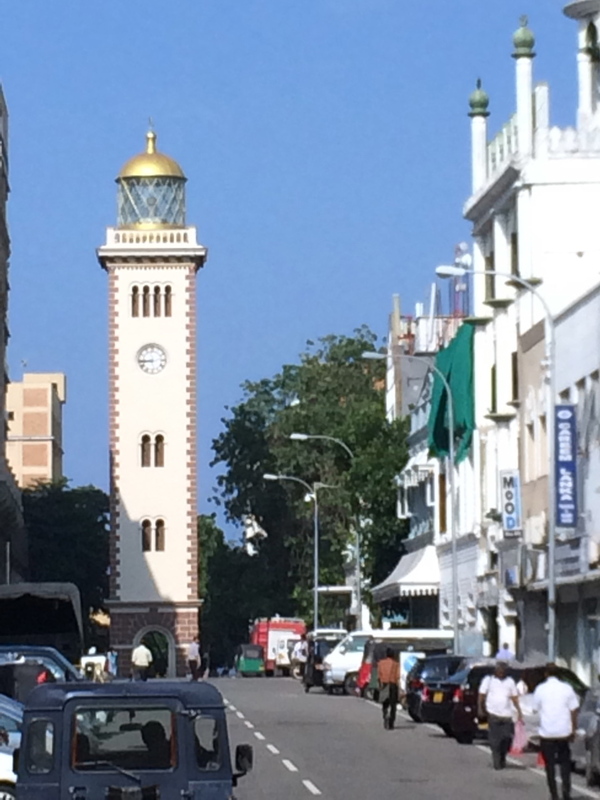 We walked the streets of Ceylon just like Duran Duran did in the MTV video “Hungry Like the Wolves”, which is scary to think I actually remember the video and of course the song and now it is stuck in my head to play all day long. I had no idea it was filmed here, but it is one of their quirky claims to fame according to the guide. 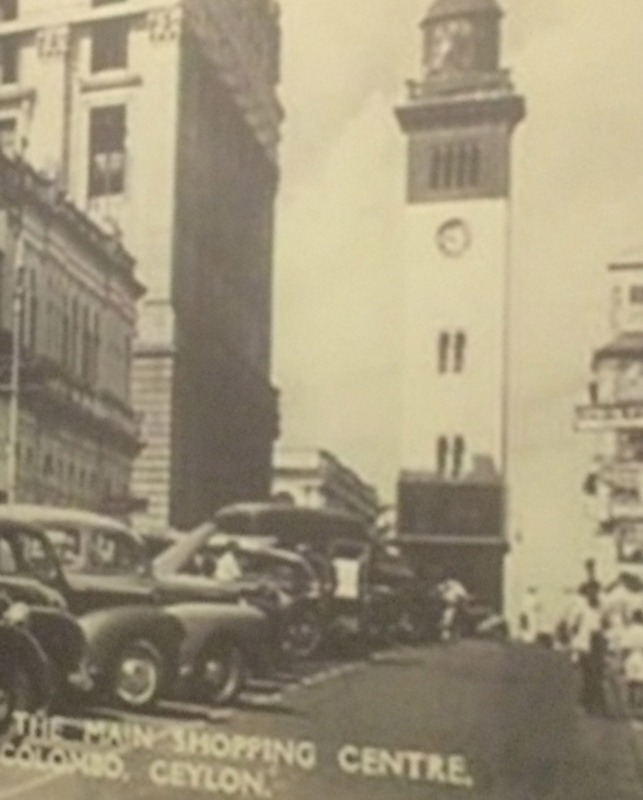 We wound our way down York Street to the Cargill building, which is the oldest department store in Sri Lank having opened its doors in 1844 and now rumored to be the latest purchase of the hotel firm known as Raffles. It has great architecture but will need massive amounts of work to make it glorious once again. 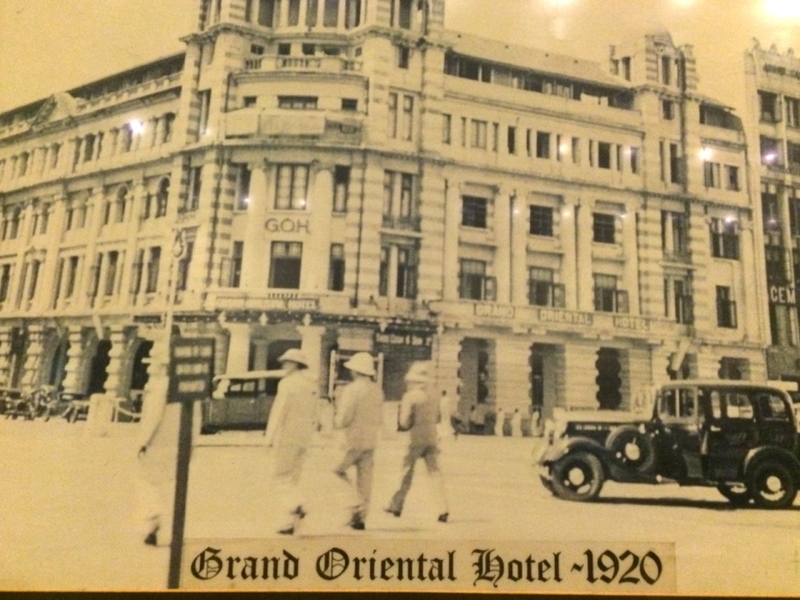 Then we walked down to the less-than-luxurious Grand Orient Hotel, which is the oldest hotel in the country and also in need of renovation. 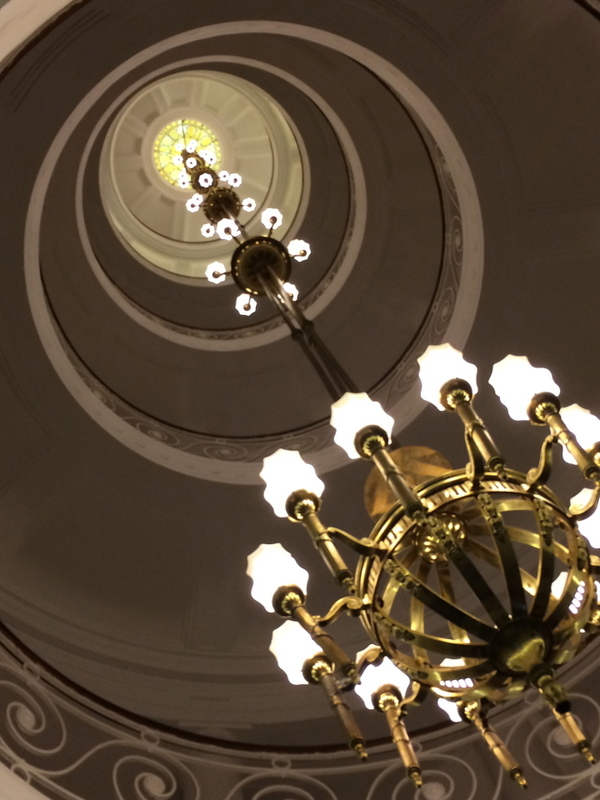 One of my less favorite things to do in Colombo Sri Lanka was visiting the Economic History Museum of Sri Lanka, which has a spectacular chandelier, but that was about it! 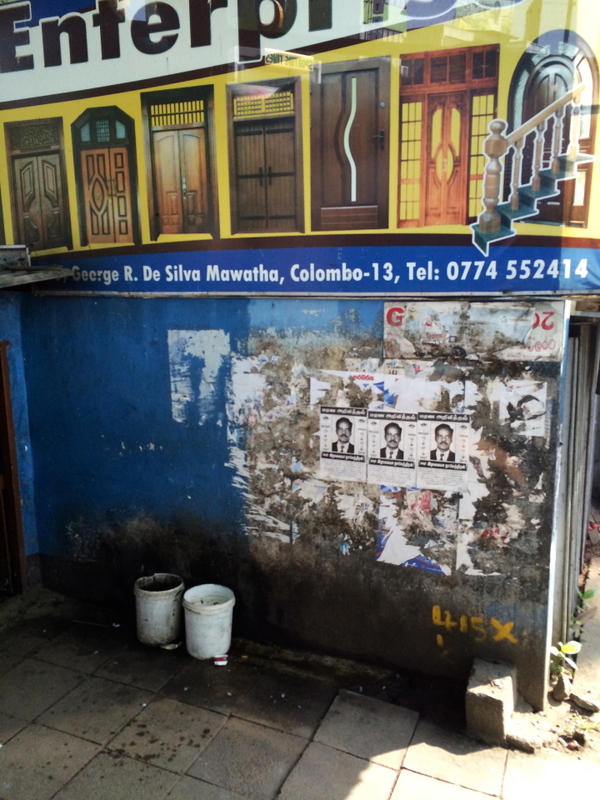 Sri Lanka itself is still recovering from the maladies of civil war, which only ended in 2009. While I was in Colombo, I saw lots of decaying colonial buildings, yet construction going on everywhere, so I can say that it as an “up and coming” destination to visit with many amazingly hidden ruins, elephant sanctuaries, Buddhist temples, and animal reserves, so you better hurry up before tourism takes hold and changes it. Eventually we stopped by the Tap Bar, which is located inside the Grand Hotel, where we paused for a quick drink then soon we were back on the streets for the next bar – the oldest bar in the city known as the Colonial Bar, in which I say– a dive is a dive is a dive (aka dodgy). We sat on wooden chairs around an old wooden table with barely any lighting – a solitary functional light bulb, which is perfect for the drinker who loves solitude and wants to be incognito. When speaking to the few Sri Lankan women in our group, they said they never go into places like this, and I can see why, as it was dark, sparse, ancient and full of old men who stared at us, yet waved goodbye when we left, which does show the friendliness of the people. 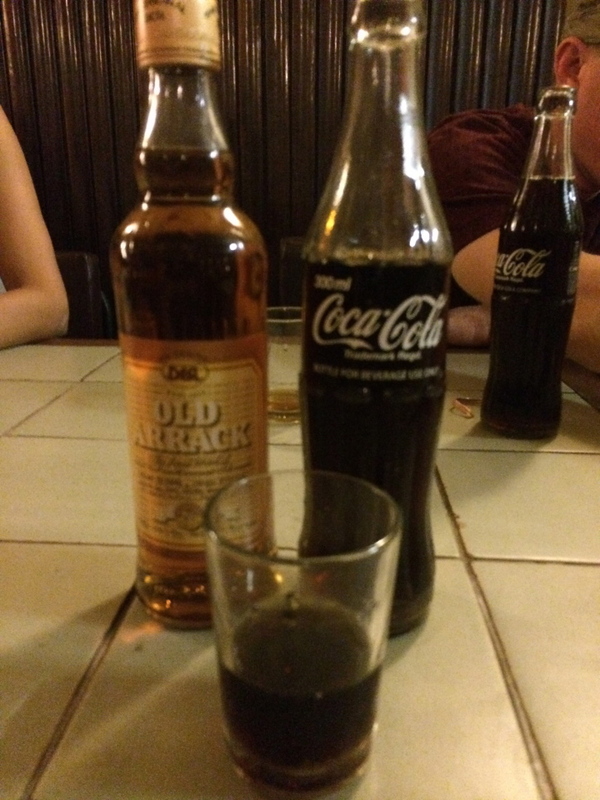 Arrack or Rum and Coke, pick your evil! The waiters soon brought the first round of the local drink of Arrack and Elephant House Ginger Beer, two things I don’t imbibe, so I ordered a rum and coke instead. 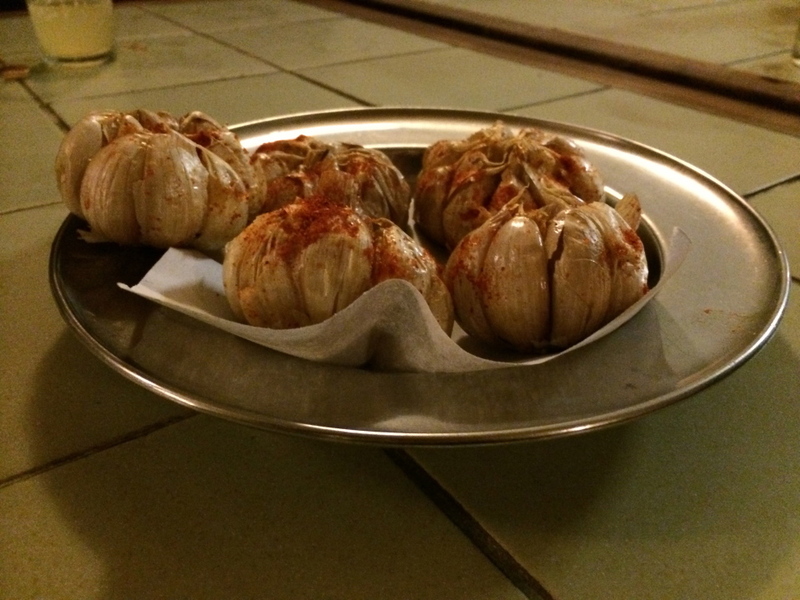 Then the food began to arrive: greasy food of the highest quality and the most uncertain origins. Platter after platter of a few things they are well known for, such as the spicy fish cutlets and the baked garlic cloves, both quite unusual for my pallet. 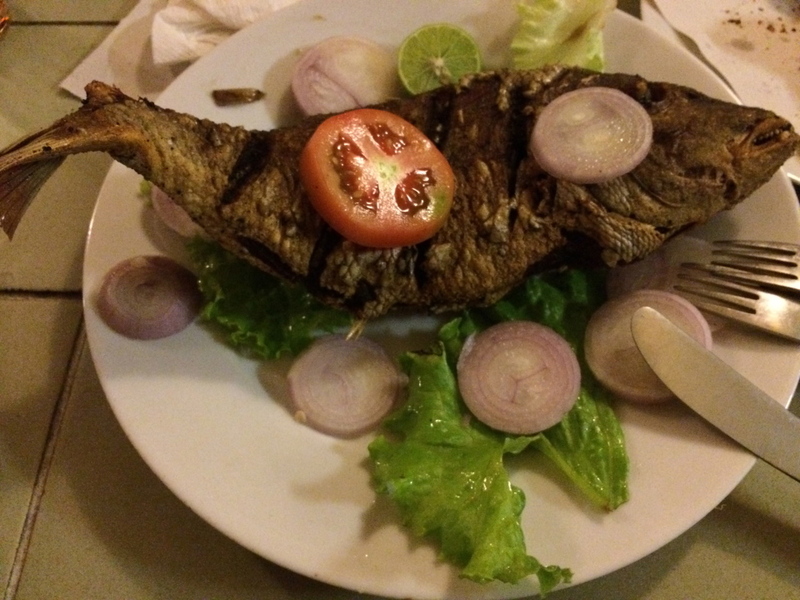 Then they brought out a whole fried fish, that was actually quite delicious. The story goes that the men in the city would stop by the bar for a drink before the long bus ride to the outskirts of town and so they ate the garlic to change the smell of alcohol on their breath, that way when they arrived home, the Misses would not know they stopped by the bar. On the return to the hotel, we took a quick tour of the Fort Railway Station, just to have a gander at this old train station. There is something romantic about a train in my mind, so I have no shortage of photos from this stop. Overall, this was a nice walk to get a feel for this ancient city. Although it only took 2 hours to complete the tour, it opens the door for the other 22 hours of your day to spend in Colombo. Disclosure: The Walkabout Tour and my stay at Cinnamon Hotels in Sir Lanka were sponsored by them as a part of the first ever Professional Travel Blogger Associations conference #TbcAsia. We were in Colombo last year and just loved it, what a great city!. Sri Lanka is definitely a country we will return to. It is a bit out of my comfort zone, but some people love it! 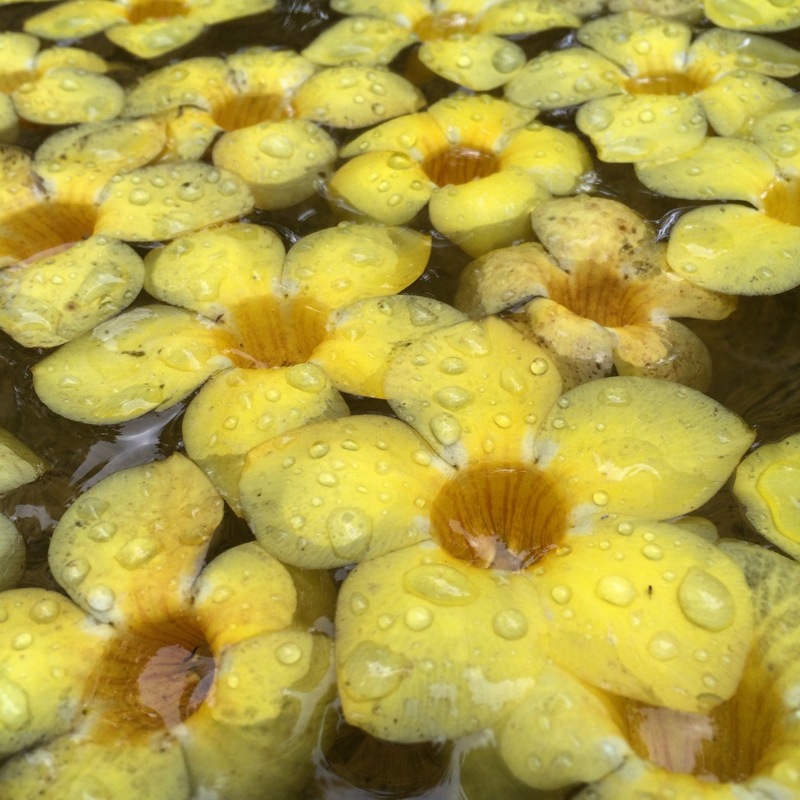 Probably a very sensible thing to do in Colombo – get a guided tour to orient yourself. 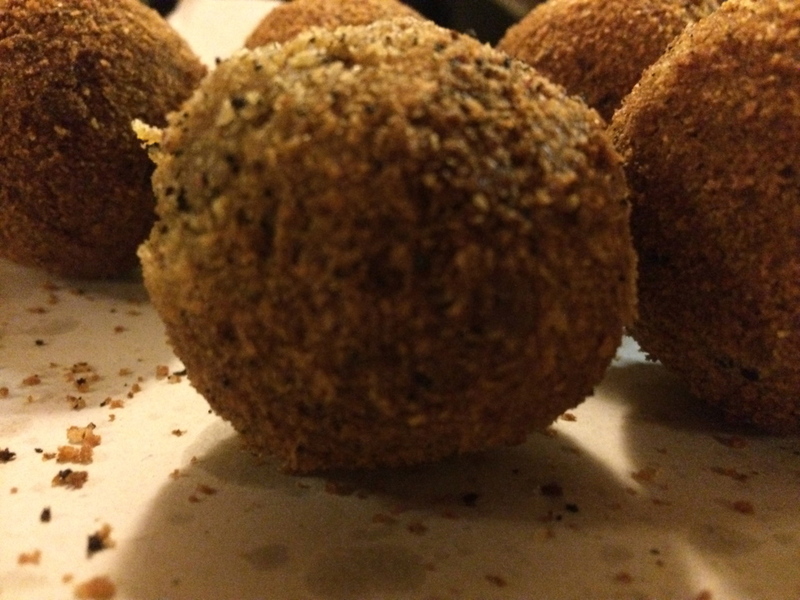 The spicy fish cutlets sound good :-). For me, it was needed! Interesting post. To enjoy a holiday in Sri Lanka, I prefer to use a long vacation. It will indeed cost a bit, but the satisfaction to enjoy a vacation in this place would be very nice. There are many things to be explored in Sri Lanka, as in Bali in Indonesia. nice post. thanks! Thanks for reading! Yes, If only I had longer! 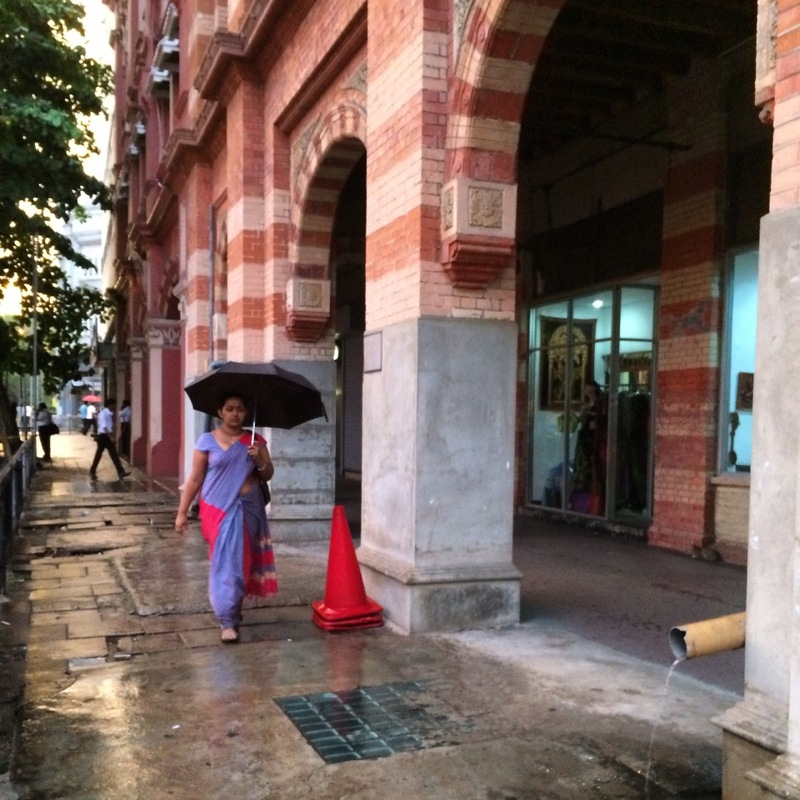 24 hours in Colombo, Sri Lanka is never enough. There are so many more things to do!